The Alpinarium in Galtür is a fascinating history museum, located in a small alpine village and sky resort, 1600 metres above the sea level in the Austrian Alps. 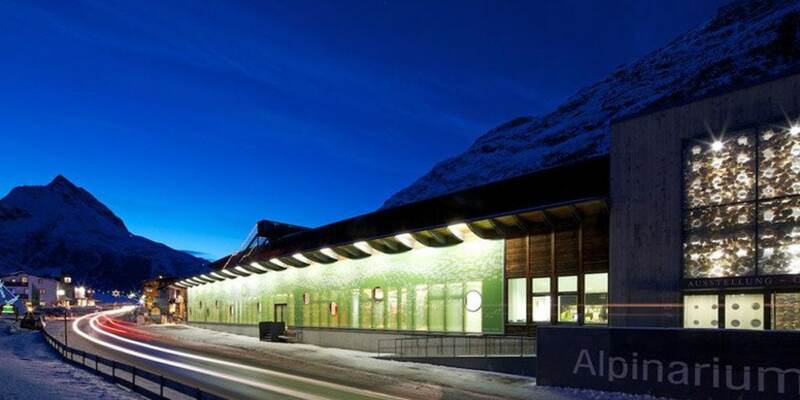 The museum is housed in a very unconventional building, a 100 meter long protection wall, built to protect Galtür from avalanches, like that which devastated this idyllic place in 1999, causing 31 victims. 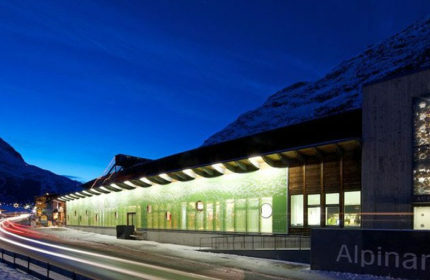 Galtür has deeply suffered from that tragedy but the the reaction was not only to build a new protection system but also to create a museum inside it: the Alpinarium. 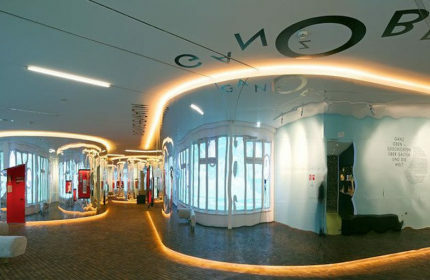 The museum is conceived in quite original way: the permanent gallery is made of elements mid-way between art installations and traditional museum exhibits. 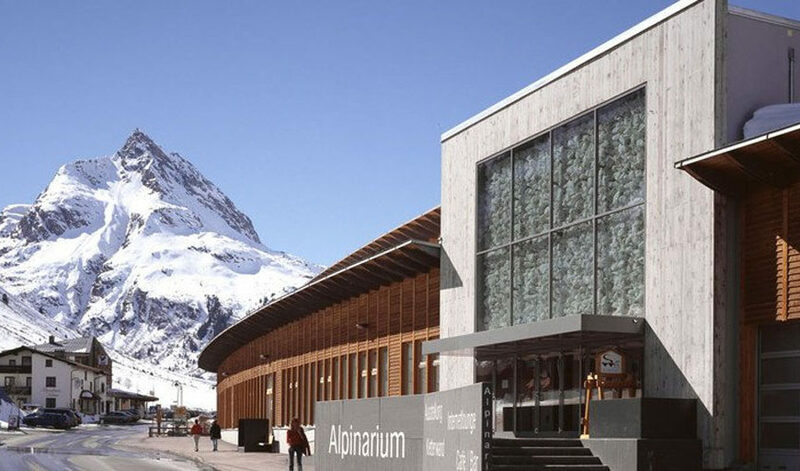 The Alpinarium tells the history of its site, of the people living here, and of the surrounding mountains and is aimed to involve the visitors in a emotional and empathetic experience rather than simply presenting objects, photos and text panels. Installations, audio-visuals and images are creatively used to build up a “tale”, divided into chapters. Nature inevitable dangerousness, Galtür’s people travels and stories, history of the place and its environment, geography of the alpine environment, famous people that have been in Galtür, like Ernest Hemingway and Albert Einstein, are the subjects depicted in the museum’s gallery. 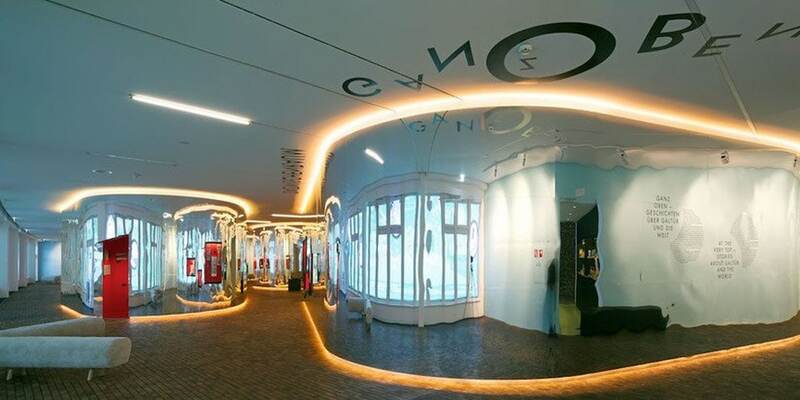 The museums also offers a panoramic terrace facing the stunning surrounding alpine environment, a climbing wall for sporty visitors, a café, learning programs for children and schools, meeting rooms and a documentation centre. The Alpinarium museum is wheelchair-accessible.